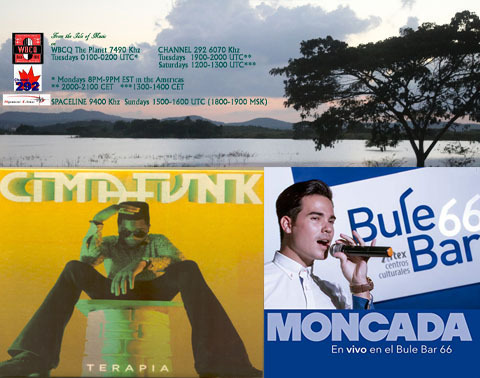 This week, our guest Erik Alejandro Rodríguez brings the Funk with the music of the sensational group Cimafunk, whose album Terapia was a Cubadisco 2018 nominee. We also listen to some of Moncada En Vivo en el Bule Bar 66, Grupo Moncada's album that won the Tropical Music category in Cubadisco 2018. Episode 99, International Ladies' Night, features female vocalists from the US, Cuba, Malta, Spain and Romania.